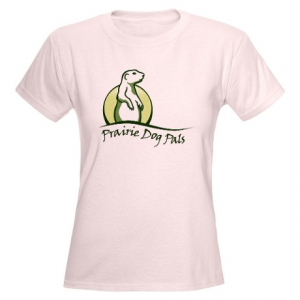 Shop for Prairie Dog Pals! WOW! Have you seen our new Café Press merchandise? There are now a lot of new items to choose from! Visit our store and start shopping now! Did you know that if you shop at IGive, a percentage of your purchases will benefit Prairie Dog Pals? Just pick Prairie Dog Pals when you visit IGive and start shopping! Did you know that if you shop at Amazon Smile, which is exactly the same as Amazon, and designate Prairie Dog Pals as your beneficiary, .5% of every purchase supports us? 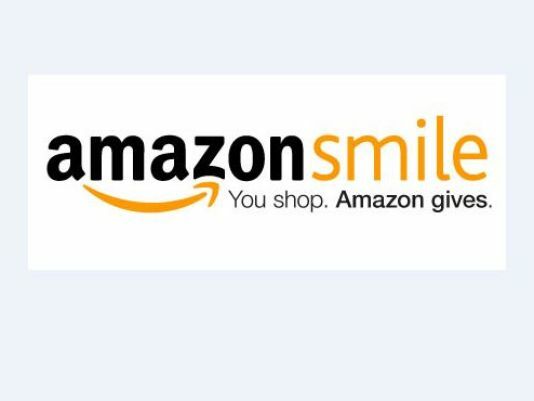 Shop at Amazon Smile now! Resonate with resin art by the Santa Fe artist Stephanie Heurta. Stephanie has created this series of cast resin prairie dogs (spokes rodent Sunshine was the model) to benefit our friends here in New Mexico. 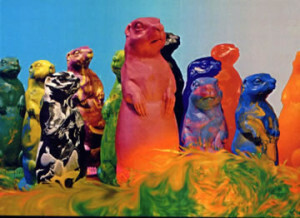 The sculptures are about 10 inches high and are solid resin, they come in an assortment of opaque, translucent, and mixed colors. 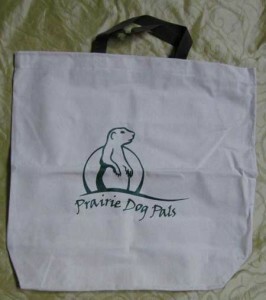 One half of the $175 cost goes to the care of prairie dogs. 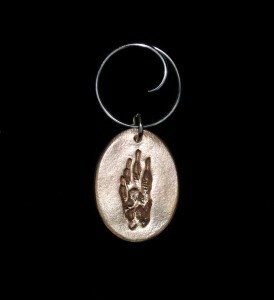 She also has limited edition, numbered and signed bronze models. If you are interested in purchasing one of these collectible pieces contact Stephanie at 505 471 4820, 505 577 8727, or stephaniehuerta@earthlink.net. 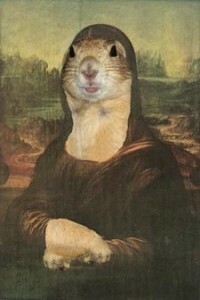 Art Tiles: These tiles put a prairie dog spin on classic paintings. The tiles are made with a heat-transfer process, during which the image penetrates the surface and becomes part of the tile itself. The color vibrancy and image detail is unmatched in any other process. Each tile comes ready to hang and has bumpers on the bottom corners so that the tile hangs flat. 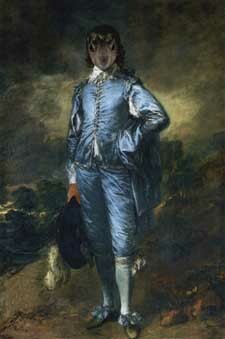 Choose from either American Gothic or Blue Boy. The tiles are $30.00, plus $11.35 for shipping. 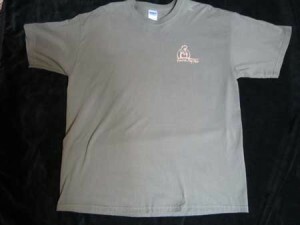 T Shirt:This high quality, cotton T-shirt is moss green and bears the PDP logo. C Rex can attest to the quality of these tees; he wears them for flushing, trapping, and outreach events, and has some that are five years old. Other than a slight fade in the color (we work out in the sun), they are still in great shape. They are available in sizes SM-XL. The cost is $15.00 plus a $5.30 shipping fee.P.S. You can find a wider selection of prairie dog tees at our Cafe Press site, though we only get a fraction of the purchase price. Ceramic Chime: Sharyn Davidson, a locally acclaimed artist and her aide de camp, friend, and fellow feeder (of prairie dogs), Judy Hallmark have created a beautiful prairie dog chime. The chimes sell for $30.00 plus $11.95 for shipping. 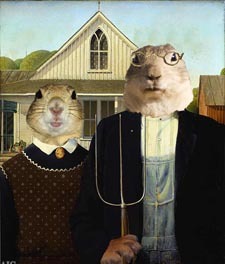 The prairie dog is 10″ long and 6″ wide and the overall chime is 19″ long. Prairie Dogs are keystone species of North America’s grasslands. They create unique and important habitat for many grassland animals, maintain the presence of grasslands, and are key prey for many predators. Prairie dogs have declined by approximately 98% from their historic levels. This is due to numerous threats including poisoning, shooting, urban development, and non-native disease. Their loss has resulted in declines of many species that are dependent on them for food and habitat. 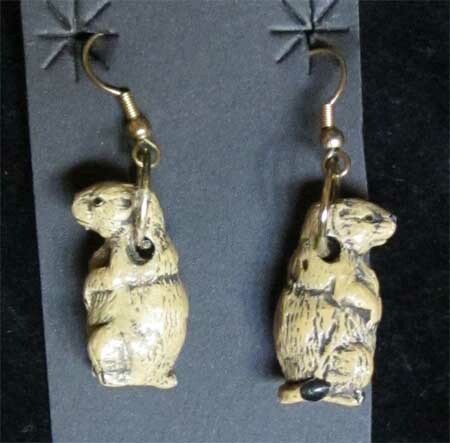 Fundamentally, the problem the prairie dog must overcome is human intolerance.This handmade prairie dog design is cut from new Mexico Coyote Clay and accented with Pecos porcelain chimes. The clay is fired at 2100 degrees, which creates a pleasant tone and assures endurance. All proceeds from the sale of this wind chime benefit the non-profit organization Prairie Dog Pals and prairie dogs throughout New Mexico. Metal Chimes:These chimes are handcrafted by prairie dogs in our staging facility and make a great addition to any garden setting. (Actually, they are made by PDP volunteers, lest anyone gets the wrong idea and invokes the prairie dog labor laws.) Formed from copper or steel wire and tubes, they have a delicate timbre when rustled by the wind. 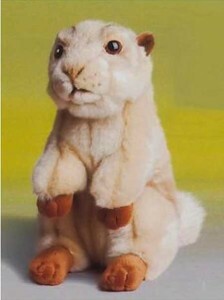 The prairie dog is approximately 10″ high by 7″ wide, and the overall height is 18″. Copper chimes sell for $15.00; steel chimes for $12.00. Add $5.30 for shipping. Tote Bag: These sturdy, natural cotton totes are made in Mexico–Mexico, Missouri, that is, in the USA! These totes are 20″ wide by 19″ high and have brown, nylon handles. They sell for $10.00 plus $5.30 for shipping. 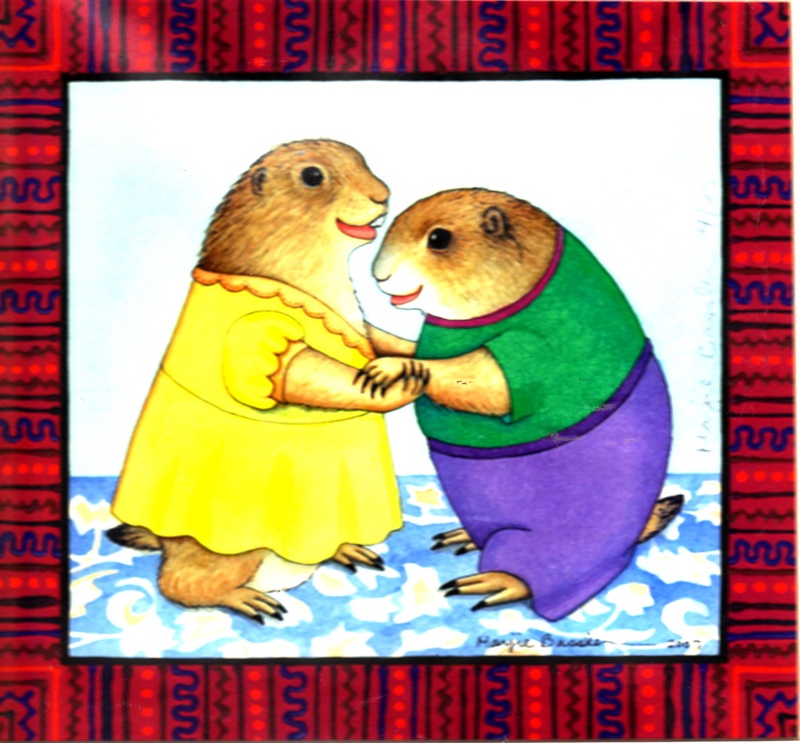 Limited edition prints of Petie and Lilo by Marjie Bassler. Marjie is an accomplished New Mexico artist in a number of media. You can check out her work at www.marjiebassler.com. She has created and donated these SIGNED prints to prairie dogs in an effort to help the prairie dogs. These are ideal all year long gifts to your favorite prairie dog lover but especially for Chrismas, Hannukah, Kwanza or Valentine’s day!The image is matted. The overall size is 12″ square and the image is 7″ square. The cost is $50.00 INCLUDING shipping. 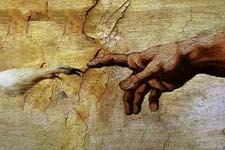 If you live in the Albuquerque area and can pick up the image, the price is $40.00. 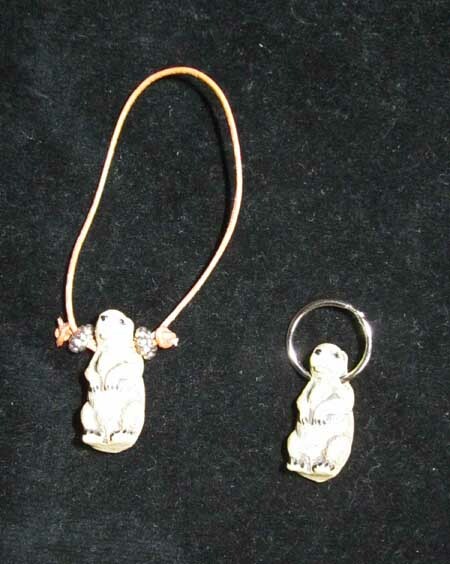 Key Fob: Sharyn Davidson, a locally acclaimed artist, has created a beautiful prairie dog key fob. The key fobs sell for $10.00 plus $5.30 for shipping. These gorgeous one of a kind items are made right here in New Mexico! 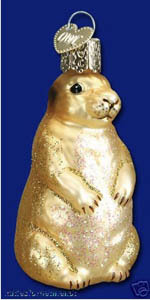 Glass Ornament: This is an old-world style glass ornament of none other than our favorite critter, the prairie dog. Dress up your tree with several. 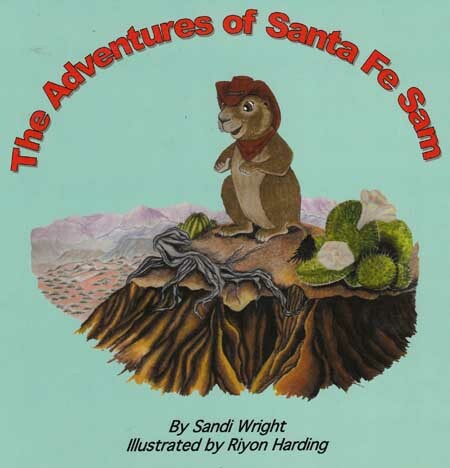 The ornament is approximately 3â€ high and is available for $10.00 plus $5.30 shipping..
“Zachary Cooks Up Some Fun:” A delightful story about a prairie dog who is bound and determined to accomplish species harmony through cooking! 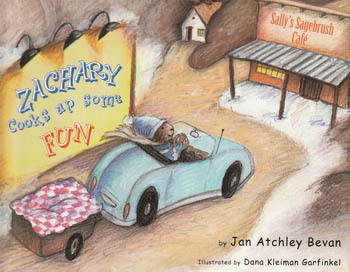 The book sells for $16.00 plus $5.30 for shipping. 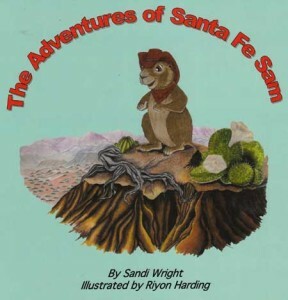 “The Adventures of Santa Fe Sam:” This richly illustrated story explores the fascinating past and present of the tri-cultural city of Santa Fe, as told through the discoveries and inquiries of the prairie dog, Santa Fe Sam. Each book was signed by the author. They are available in English and Spanish/English versions. The book sells for $16.00, plus $5.30 for shipping. 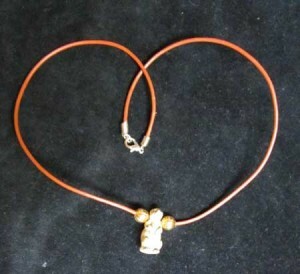 Prairie Dog Ceramic Necklace: Show your passion for prairie dogs by wearing prairie dog jewelry. Choose from a necklace, earrings, or zipper pull, or buy all three for your burrow mate. Each features a handcrafted ceramic prairie dog. Prices are: Earrings $15.00; Necklace $10.00; Zipper pull $3.00. Add $2.50 for shipping of up to 5 items. 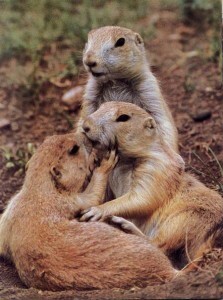 Three Dog Kiss Card: This is a 5 x 7 inch greeting card, featuring a photograph of three cuddling prairie dogs. The inside of the card is blank so that you may add your own profound sentiments. Each card sells for $2.50. Add $1.00 for shipping for up to 5 cards. 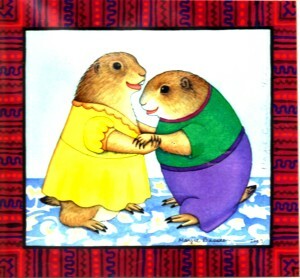 Blue Boy Art Card Prairie Dog Art Cards: Like the art tiles, these greeting cards put a prairie dog spin on classic paintings. In addition to the American Gothic and Blue Boy designs (see Art Tiles above), choose from Da Vinci’s Creation (two versions) or Prairie Dog Mona Lisa. The insides of the cards are blank so that you may add your own profound sentiments. Cards are $2.50 each. Add $1.00 for shipping for up to 5 cards. Plush Prairie Dog:This adorable plush prairie dog is approximately 9″ tall and comes with a species fact sheet. You can adopt him as your own for $20.00 plus $5.30 for shipping. To order any of the items above, fill out the order blank, and send it to us with a check. You can use Paypal but you need to tell us what you want so we don’t mistake it for a donation.